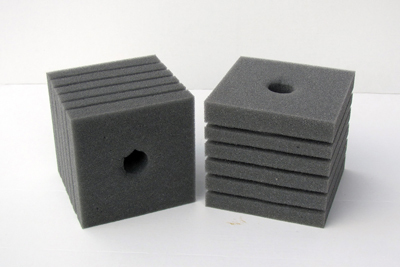 Part #12- AquaThrust Filtration Foams for aquarium applications. Small pore 30ppi (2 pack). This part fits AquaThrust models AF0650, and AF1100 and comes standard on AF0650. This type filter also works on many other intakes used on aquarium filters.